Update: We have created a guide to help website owners learn how to implement SSL on websites for free. Much of the web continues to march towards creating secure communications between devices through the use of things like HTTPS/TLS (aka SSL). We’ve seen Google talk about giving SSL a ranking boost and flagging non-HTTPS websites within the browser (Chrome) as insecure. We have also seen various organizations take the call to arms – with StartSSL offering free SSL Certificates, organizations like LetsEncrypt being established, Automattic (parent company of WordPress.com) enabling HTTPS for all its domains, and we too announced our support through our own LetsEncrypt partnership. For those that have tried to deploy SSL, myself included, there are a number of issues to be mindful of. The most common seems to be with how assets (i.e., images, css, etc…) are being loaded once you make the switch. I went ahead and put together a little tutorial to hopefully reduce the potential anxiety you might feel with this undertaking. This will be especially important if you are using our Sucuri Firewall. The idea of switching to using the HTTPS protocol can be a daunting task, but it doesn’t have to be. Like most things, taking a few minutes to mentally prepare and answer a few questions can go a long way to ensuring a seamless deployment. How does your host handle SSL Certificates? How will your website account for HTTPS? Does your website leverage a Content Distribution Network (CDN)? 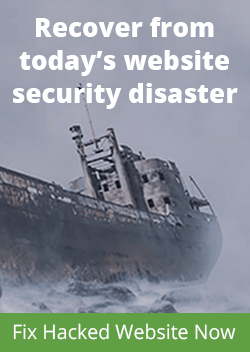 Does your website Leverage a Website Application Firewall (WAF)? This can prove very problematic for some website owners; it could break your website. The tool will automatically log you out of WordPress and force HTTPS on your website. Note: There is a great resource on the ManageWP blog – WordPress SSL Settings and How to Resolve Mixed Content Warnings. I encourage you to give it a review as it provides a number of great discussion points. If you are using a generic content management system where your template and files are in HTML or PHP files, you can do a mass search and replace to rewrite your content from HTTP to HTTPS. $ grep -r "http://yourdomain.com/" .  You will need to manually fix all references to include https://. There is a great tool called Database Search and Replace, built by Interconnected/IT. As the name implies, it allows you to do a quick search of your database, replacing values as needed (be careful). When running the search and replace be mindful of all the things you can break. To account for this, I recommend being as specific as possible. 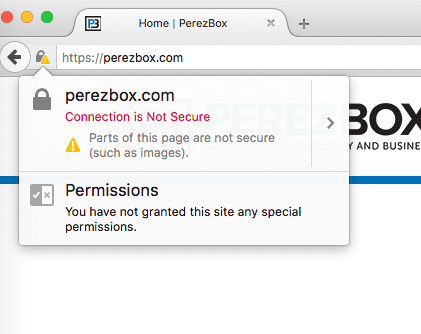 For instance, in the image above, you can see I search for http://perezbox.com and replace with https://perezbox.com. This is an effort to avoid breaking any other http references that might cause you more issues. Before you run the tool, please be sure to have a database backup. The tool also helps by giving you two very distinct options: Dry Run and Live Run. I recommend running a Dry Run first, checking the output, then running a Live Run if everything is configured. Next you want to make sure that your server/website is ready to handle HTTPS traffic. You can do this via your /wp-config.php file. This will make it so that your website/server accepts all HTTPS requests, and also enables HTTPS on your website. There are obviously a number of different deployment types. For more variations you can reference this Codex article on WordPress.org. Please, whatever you do, do not forget to remove the DS&R tool from your root once you’re done. 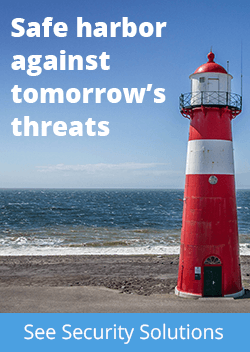 Leaving it on your server could introduce itself as a potential attack vector later. Thanks for sharing. Unfortunately, this is not the whole story. Some themes store urls in a specific way, so that search and replace tools won’t find them in the database. You need a migration plugin to do the job (e.g. the betheme). I don’t know of any tool that can scan the whole website for insecure content. There are online tools that can crawl your site. But they are not very reliable. Can you recommend a tool or a workflow for that? Another plugin you can try if using WordPress to get your URL’s changed if absolute URL’s is ‘Velvet Blues Update URLs’. Been using for it for a while to change the sites URL when changing domains of a site. Has always worked well for us. Although haven’t changed http to https, although not sure why it wouldn’t work. As away’s test and make backups. This post helped me figure out what was going on with my servers behind a load balancer in AWS. The servers serve up port 80 but the load balancer was doing the SSL on 443 so I kept getting mixed content before adding the code snippet. One thing, if you have shell access to the server you can install wp-cli and use their search-replace command. Highly recommended tool as it does a ton of things easily without having to log into the admin area etc.